At OfficeClean.ie we use a state of the art water-fed pole system for our window cleaning services. No ladders are required thus saving time and increasing efficiency and of course reducing risks to the window cleaning operator. 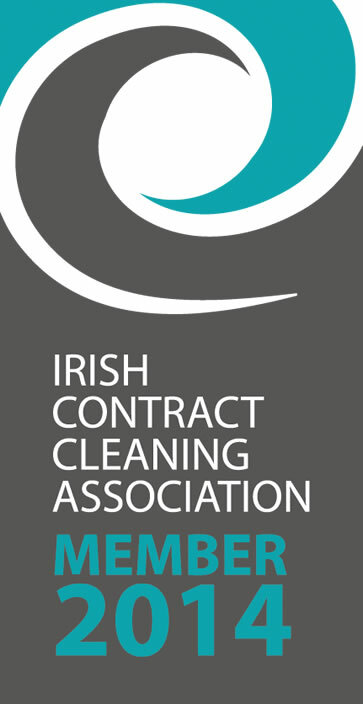 Our cleaning contracts range from small office buildings through to large commercial, high-rise, office buildings and hotels throughout Dublin, and the surrounding areas. We guarantee to find a cost-effective solution for all clients! 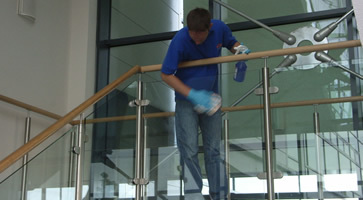 We are equipped with the latest high-level window cleaning system – The Reach and Wash Thermo Pure System which is a water fed pole system, also all of our industrial staff are fully trained and our management are fully committed to offering the best cost effective solutions for any business or domestic environment. The water fed pole window cleaning system reaches, and cleans previously inaccessible windows as well as frames, fascia and conservatory roofs. Environmentally friendly as no chemicals are used. Eliminates the need for expensive and hazardous high access equipment – can reach & wash windows at heights of up to 65 feet. Operators work from the safety of the ground (100% safe). Pure water cleaning consumes dirt leaving surfaces to dry to a spotless, streak-free finish. Improves privacy and reduces disturbance. Our operatives are extensively trained and aware of Health & Safety regulations. Our window cleaning service rates are also very competitive as we can eliminate excessive insurance premiums associated with regular cleaning services. The techniques used in this service ensure your windows stay cleaner for longer. Contact our sales department today and receive a very competitive costing for your complete requirements. Do You Really Trust Your Contract Cleaning Company? Are you getting poor service from your contract cleaners?